This all-level Pilates Mat class is a full body experience designed to increase strength, stability and flexibility. With a focus on control and alignment, you will challenge your body and mind in this energizing, thoughtful and satisfying session. Starts August 23rd. No Class October 25th. Bring a mat and water. Wear comfortable clothing and no shoes. Please arrive 10 minutes early to give yourself time to fill out new client paperwork and get organized. If you are pregnant, postpartum or have an injury, please tell the instructor and plan to make modifications to accommodate for your changing or healing body. Before her first exposure to Pilates in 2006, Katelin participated in dance, gymnastics, high school sports, played college volleyball, and was a runner and cyclist. After a knee injury, she found Pilates and it transformed the way she experienced movement. She became stronger, more balanced, and genuinely aware of her body. In 2014, after practicing regularly for 8 years, she began her formal Pilates Mat, Reformer and Apparatus training through Balanced Body in Walnut Creek and Mountain View, CA. She taught Mat and Reformer classes at two studios in Sacramento before moving to Boise last Fall. Katelin loves exploring new places with her husband and two-year-old daughter. 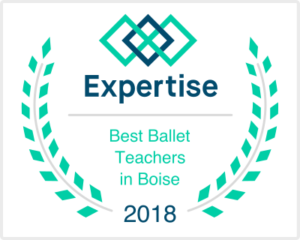 She earned a bachelor’s degree in Health Sciences from Boise State University and uses her anatomy and health background to compliment her teaching style. For her, there is nothing more gratifying than inspiring others to enjoy freedom in movement. Private Reformer and Tower lessons are available upon request.